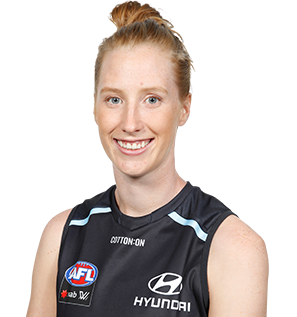 Carlton's Kate Shierlaw is adamant the Blues can bounce back this Friday night against the Bulldogs, even without star forward Tayla Harris. Kate Shierlaw's journey to Carlton has been well documented, but it's her recent form that's doing the talking of late. As a Bluebagger growing up in South Australia, the desire to knock off the Crows burns strongly for Kate Shierlaw. After missing the season opener against Collingwood, Shierlaw played the remaining six games of year – pinch-hitting in the ruck while also drifting up forward. The 186cm utility kicked two goals, booting one against Melbourne in Round 4 and the following week against the Bulldogs in Round 5. 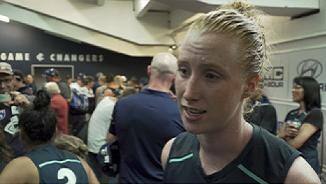 The lifelong Carlton supporter will no doubt look forward to pulling on the navy blue again in 2018.